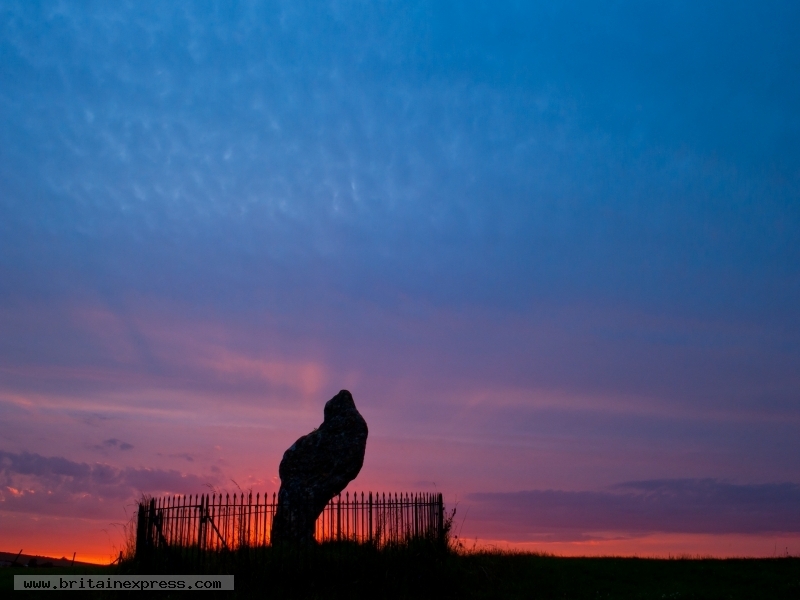 It was Friday night, nothing I wanted to watch on the telly, so I squinted at the sky, saw there was a possibility of a decent sunset, and grabbed my camera gear, and drove to the Rollright Stones, about 20 minutes from my home. The main stone circle is half-surrounded by tress, but the solitary King Stone, across the road, stands on its own, near the crest of a hill, looking out towards the west and the setting sun. I waited and watched while this magical scene unfolded in front of me. Wow!